Switch front biggie, Derek Rivera. Panzer photo. 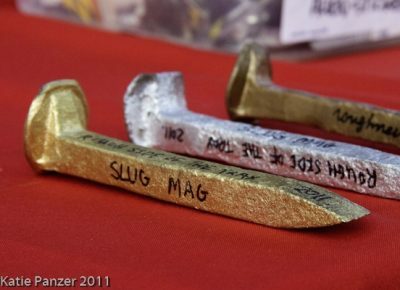 On September 24, the Roughneck crew came out to Salt Lake City from their San Franciscan homeland once again for SLUG’s 2nd annual Summer of Death: Roughside of the Trax skate contest, presented by Quiksilver. 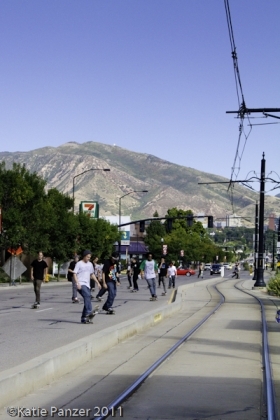 Roughside of the Trax, the Salt Lake version of Roughneck Hardware’s BART Tour, takes skaters along our city’s Trax line to street spots in a contest format. 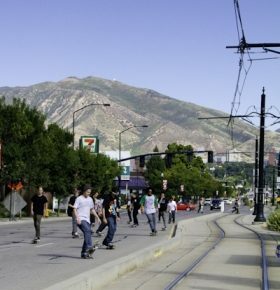 This year we took over thirty skaters East on the Trax line through the heart of the city and hit up a few top secret spots before making our way up to the University of Utah’s campus to skate a few spots and finally bomb down through the city. 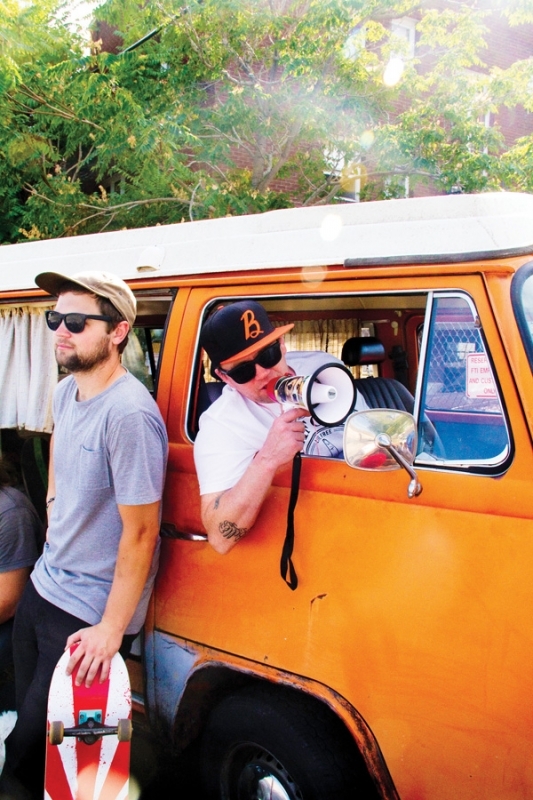 Registration took place at the Quiksilver store in the Gateway mall, and it didn’t take long for mall security to take note of the crowd of skaters congregating in front of the shop. After reassuring them that nobody was going to film or skate inside the mall’s boundaries, they left us a single rent-a-cop, who was either too tired or too hung over to stop us from filming and skating anyway. 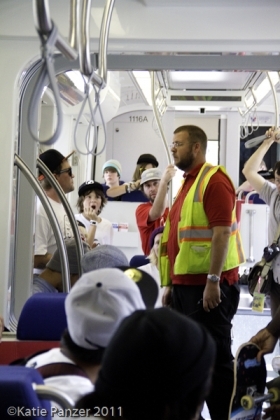 Once the clock hit 2 p.m., Johnny Roughneck got on the bullhorn and herded the mob of skaters to the first Trax stop. As we boarded the train, the sight of thirty dirty skaters caused mixed reactions from passengers. 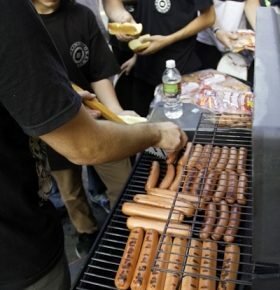 Some were stoked and asked us what we were doing, while a few others made sure to avoid eye contact. Perhaps the best reaction of all came from the train engineer, who threatened to keep us all on the train if we didn’t “knock off the crap.” While the “crap” he wanted us to knock off consisted of having a skateboard and the occasional cuss word, I’m sure the last thing he wanted was for us to stay on the train. 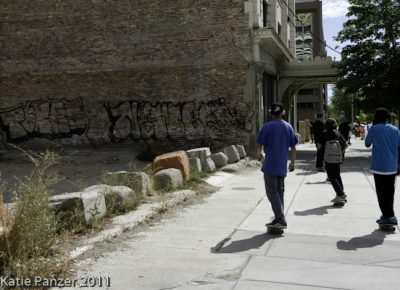 When we got to the first spot, buildings on all four sides kept us sheltered from the public eyes and ears, so with Johnny Roughneck and Jason Gianchetta yelling a slew of obscenities into their bullhorns, the skaters began throwing down and Roughside of the Trax was off to a great start. The first skater I noticed killing it at this spot was litte Dino Porobic. I remember going to the skate park when I was around twelve and being too scared of the older kids to even step on my skate. Porobic, who is a shop rider for the Quiksilver at Gateway, wasn’t even fazed by the old, dirty, tattoo-ridden skaters and threw down some tricks I thought I’d never see a pre-teen try in my life. People started warming up with some simple grinds, but things started heating up not long after and variations of tricks were being landed left and right. 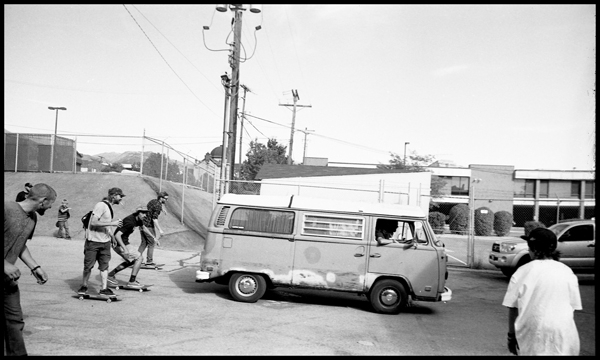 It wasn’t long before the creative nature of skateboarding took over and skaters started looking for different ways to skate the spot. Israel West was dubbed the winner for this spot and was the only skater I saw hit the handrail with little-to-no run in, while a few skaters hit the wall ride right next to the handrail. After we had our fill, we bombed down Main Street for four blocks and waited to transfer to our next train. As we rolled up to the Trax stop, an officer pulled up and watched from a distance, but aside from a warning that he would fine us if we crossed the yellow line, nothing came of the confrontation. Soon after, we boarded the train that took us to our next spot, the Wave. The Wave is a paved slope that connects an upper parking lot to a lower lot, with a rail positioned at the top and a parking block down lower. Skaters took advantage of the rail first, pushing as fast as possible to get speed up to the top. Nate Brown killed it at this spot and won it overall after stomping some technical grinds and dropping into the slope from the top of the fence. Logan Summers was on point as well, receiving cheers from the crowd after landing bolts on some tricks that would give most pro skaters a run for their money. The time soon came for us to pack up, which consisted of Mike Brown sticking around to pick up everyone’s trash before heading off to our last spot, the U of U campus. We rode up to the top of campus and skated down to the new stair sets, which had sprinklers going off everywhere. 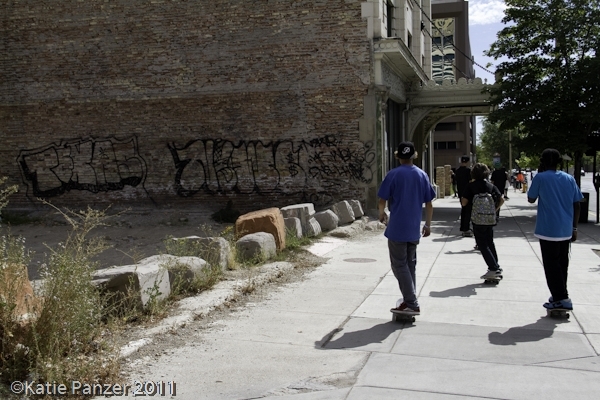 But as we saw two summers ago when a literal hurricane hit Salt Lake during our Kickflip the Economy contest, water has never kept us off our skateboards, and Saturday was no different. 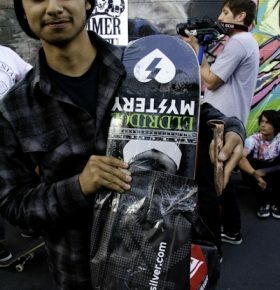 Derek Rivera, another youngster, was one of the first off the 10-stair and stomped it after a couple tries, solidifying himself as the third spot winner. 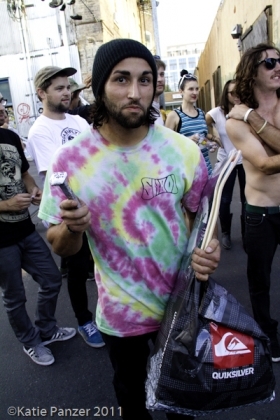 A mishap on the same 10-stair sent West to the hospital late in the day due to a knee injury. Isaiah Beh and company were stomping trick after trick on the double stair-set below, and after skaters started hitting the third stair set to the parking lot, it seemed we had a proper skate session underway. 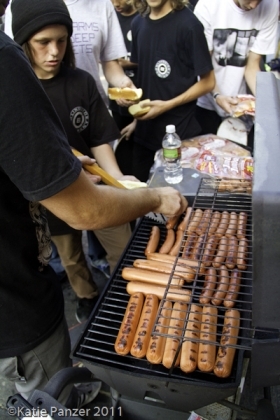 As soon as the sun began to fall behind the western mountains, we bombed from campus as a single unit back downtown to Copper Palate Press, where we grilled some hot dogs and handed out awards. As the judges deliberated and we set up for the awards, it was obvious the skaters weren’t done, as games of S.K.A.T.E. 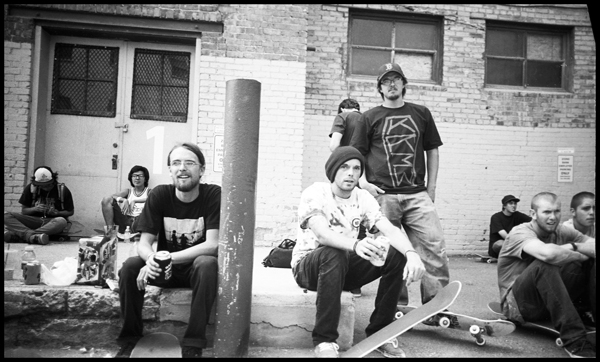 formed in the alleyway. 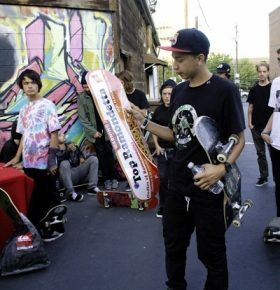 With good food and no shortage of skating, many of us felt right at home here and were reminded why it is we love skateboarding. After the judges made their picks, we turned down the music and a crowd formed around the microphone where the winners were announced. In 3rd place, with a solid performance at all three spots was Gabe Segura. The 2nd place winner was none other than the Italian stallion himself, John Barbieri. 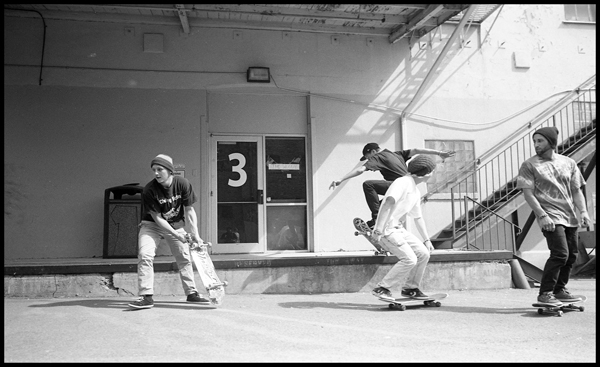 Annex skate shop rider Nate Brown came away with first place after landing bolts on bangers at each spot. 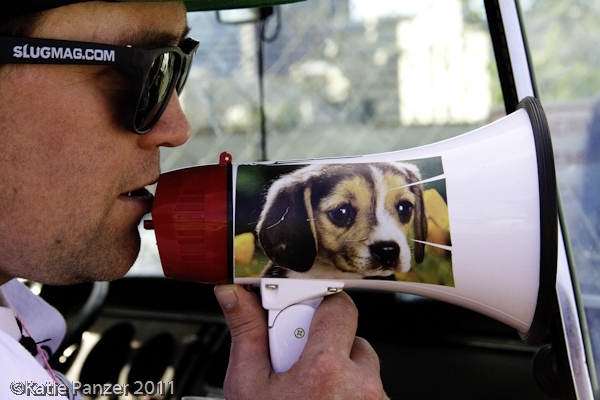 Big shout outs to all those who participated and made Roughside of the Trax a success. Thanks so much to each of our sponsors, who make these competitions possible: Quiksilver, Roughneck, Milosport, Salty Peaks, Blindside, Annex and Saga. John B took 2nd overall. Gabe Sequra took 3rd place overall. 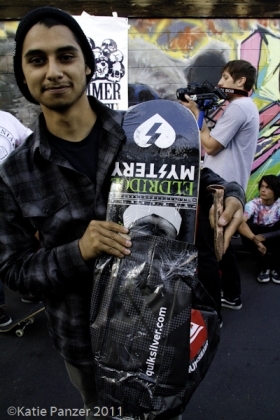 Derek Rivera took best trick at the last stop at the U.
Nate Brown would have received this sweet 1st place trophy if he hadn&apos;t peaced out early. 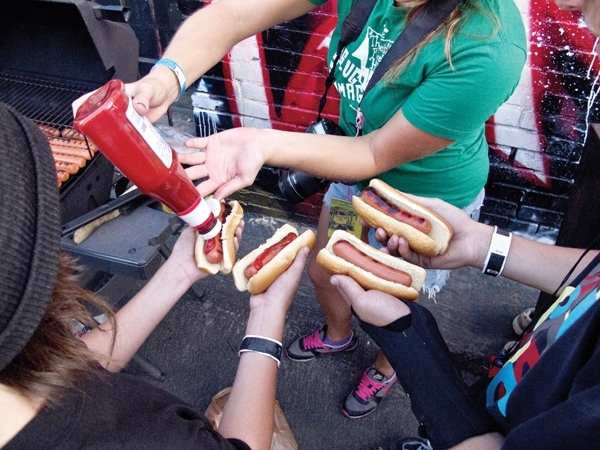 Hot dogs for all the homies. Derek Rivera 180s the set. Meet you at the Trax. Skating to the first spot. 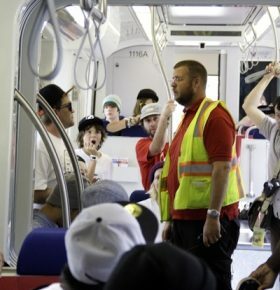 A UTA employee asserting his little bit of authority. Isreal West slashes the bench. 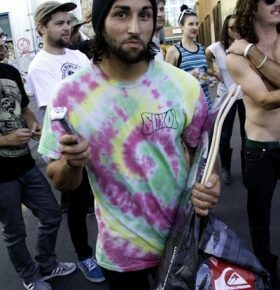 Johnny Roughneck offered a dollar for the first kickflip landed. 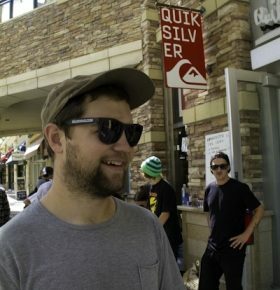 SLUG employee Chris Proctor is stoked. 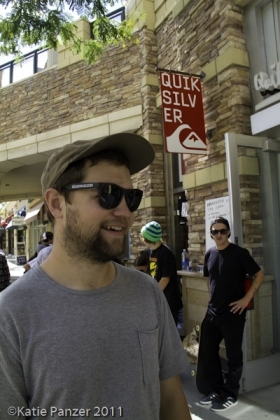 The skaters gathered outside Quiksilver for registration.